Vorb started in 2000 as a stupid in-joke amongst a group of friends who were having difficulty organising mountain bike rides together. Shortly after it's birth they all got really good at organising mountain bike rides together and went riding, a lot. The website was started in November 2000 by Tama Easton as a place to put stories and photos from their trips. In early 2001 it escaped into the public realm, got mentioned on TV, had a bunch of people visit it and Tama got excited, drank some V, sat down, started coding and proceeded to work way too hard on growing Vorb. 9 years later Tama has sworn off caffeine but still gets excited and still works too hard. In the mean time the Vorb community has grown into ten of thousands of mad keen cyclists, trampers, climbers, paddlers and other nefarious creatures. Vorb has won "Best Sports and Recreation Site" at the People's Choice Netguide Web Awards for 2006, 2007, 2008 and 2009 and surprised a lot of people with its frighteningly energetic online community. In 2009 Tama retired after many years of fantastic dedication to his creation and he handed the reins over to Rik. About me, two of my earliest memories standout from the usual playing with wooden toy things. Riding my bright red trike and learning to ski. I can’t say which came first but I can say my dad took the time to educate me about the good things in life. SPEED, I don’t care if it’s on wheels or planks, if its motorized or not, if the wheels wear skinny slicks or fat knobblies. Anything that puts the wind in my hair. I've always cycled, my mum doesn’t drive so if I wanted to get anywhere I had to get there myself. I was swooping down singletrack on a wide handlebar converted single speed road bike long before MTBing was popularized. First proper MTB a diamondback with space-aged ‘biopace’ chainrings Ooo! It's hard to complain that my earliest bikes were my brothers hand-me-downs when they were a Raleigh Tomahawk followed by the iconic Chopper. My first new bike was a "Racer" in name only, consisting of a cast iron or perhaps depleted Uranium frame but it did have drop handle bars. I hopped on the Mountain Bike bandwagon fairly early with the purchase, in 1990, of a 1989 Ridgeback 601SIS. Now living in Silicon Valley in sunny California where the nearby hills contain some wonderful trails and the weather is (almost) always nice. I’m just here because I refuse to leave. 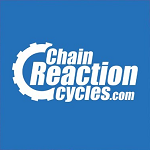 I’ve worked in the bike business since the mid-90’s and spent a lot of time talking crap to people about what makes bikes tick because I was such a poor rider myself. I’ve also spent way too much time on Vorb when I should have been out riding, so I understand what it’s like for the average vorber. These days I consider myself lucky to get a ride or two in during the week due to the demands of two young kids, however I have a strong desire to eat more pie, which means I need to make time to ride more.